Instead teaching a knitting class this summer, I opted for something a little more flexible, and a little more inclusive, and a lot more free! I am hosting a Knit-A-Long with the PFA and I am really excited. It’s going to be pretty relaxed as far as knit-a-longs go. And I’ve already picked out my yarn. Protoceratops in First Frost and undyed. 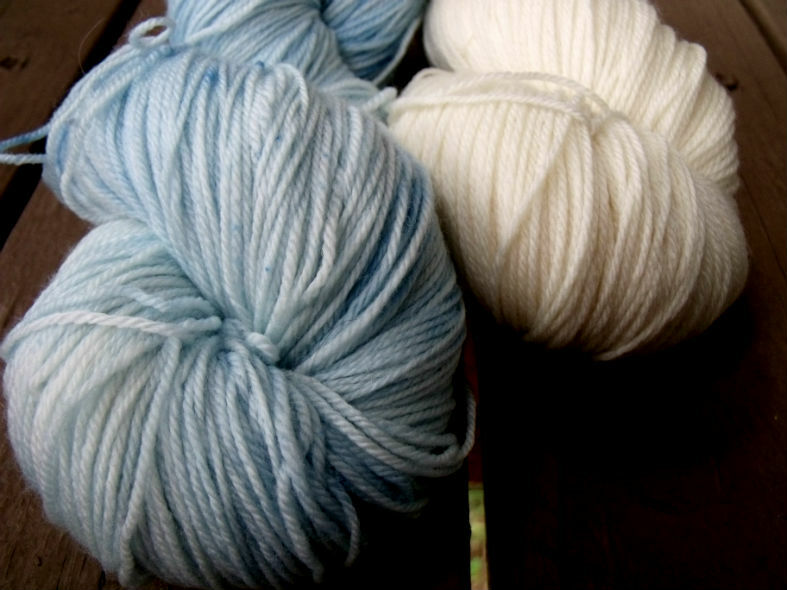 The pattern reminds me of something icy and cold, and I think mine might look pretty chilly in these colors. Please feel free to join us. I expect most of the action to take place in the Potwin Fiber Artisans Ravelry Group and on our facebook page. This shawl is appropriate for any level of knitter. We’ll work together to get everyone through it. You don’t have to be part of the PFA or even local to us to participate. This KAL is open to anyone and everyone. It’s as simple as that. Are you in?